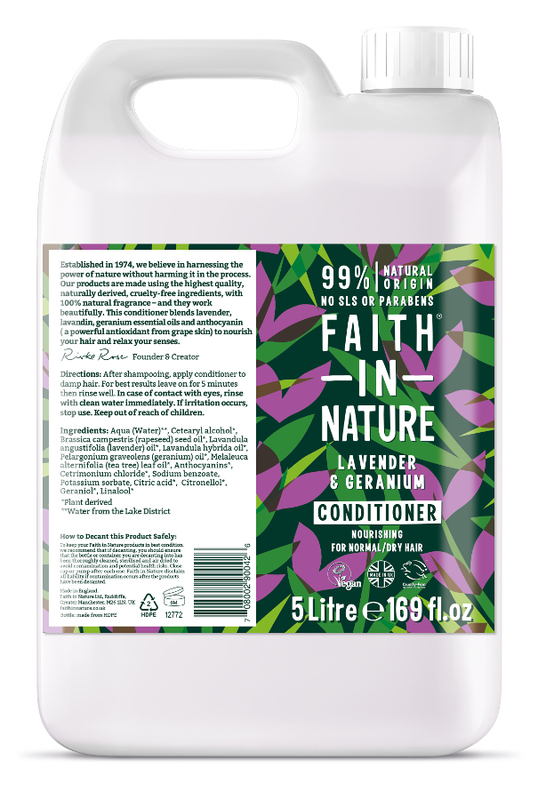 The Faith In Nature Lavender & Geranium Conditioner - 5L product ethics are indicated below. To learn more about these product ethics and to see related products, follow the links below. 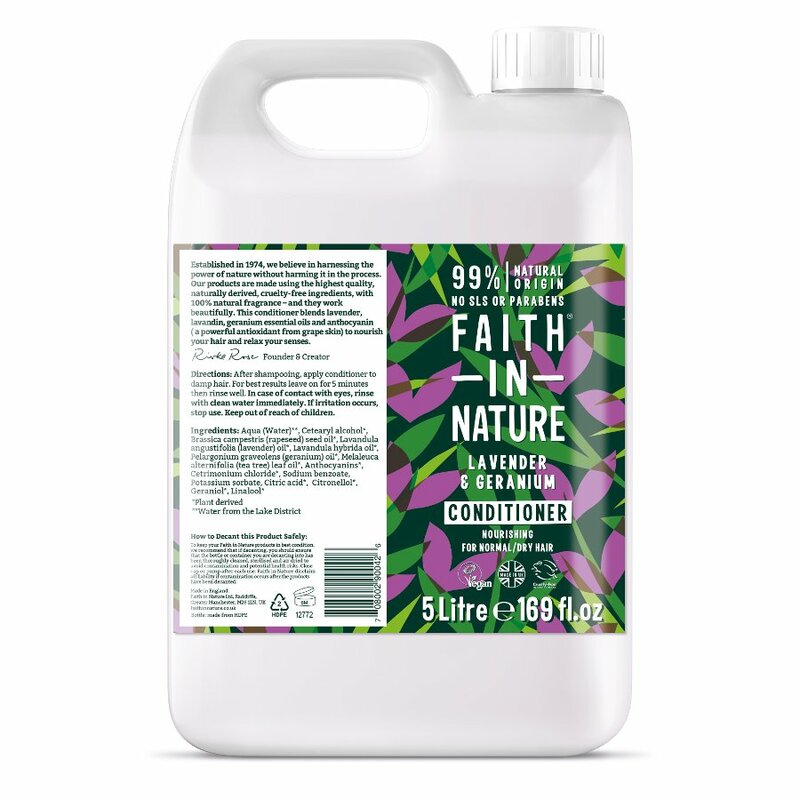 Great that Natural Collection sell products like this in bulk - saves plastic! Used at home for general family use. 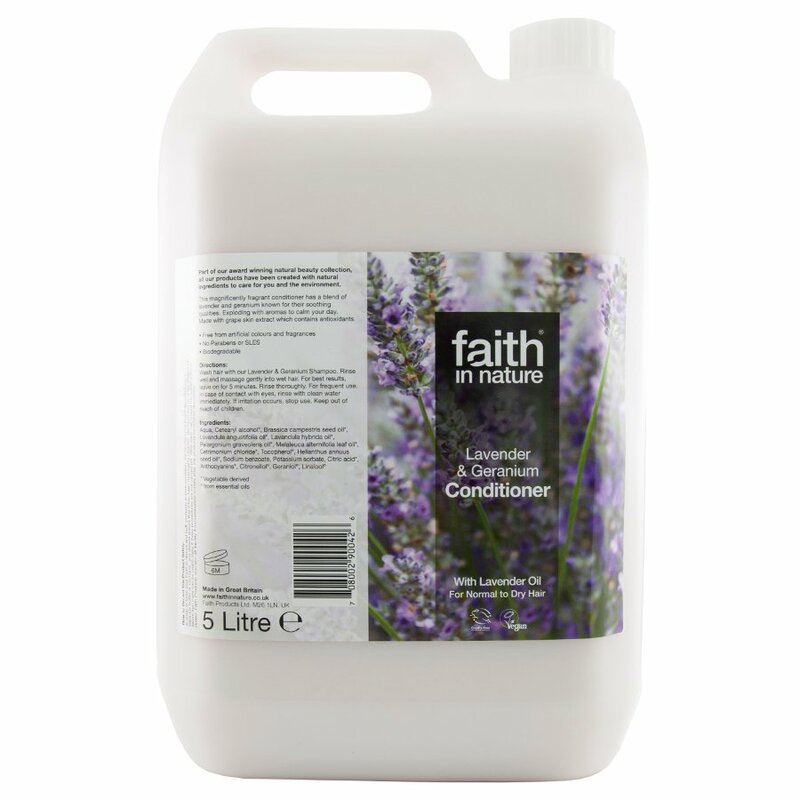 Nice product -keen to reduce number of chemicals in bathroom both for me and our septic tank! 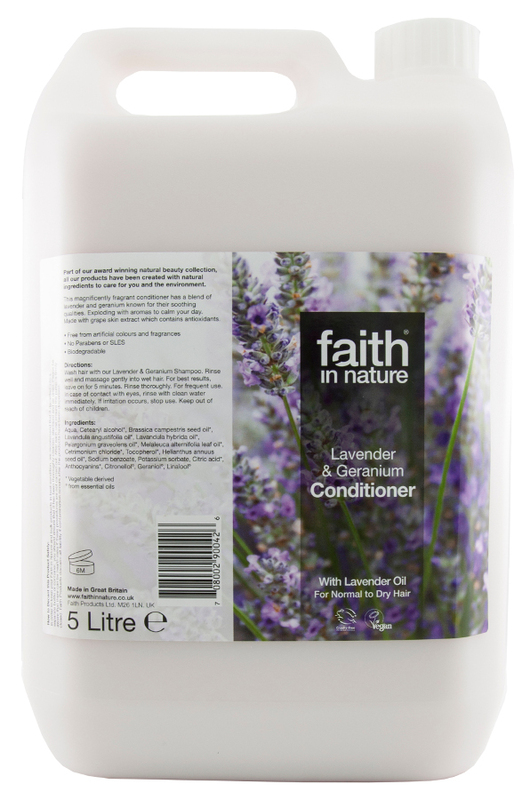 There are currently no questions to display about Faith In Nature Lavender & Geranium Conditioner - 5L.